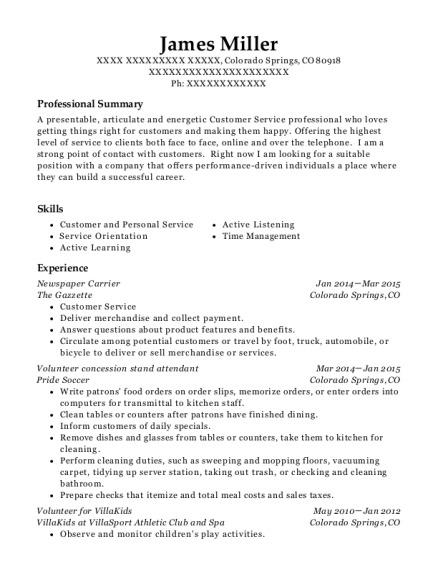 Seeking a position that will benefit from my customer service experience, positive interaction skills where my 7 years experience can improve the customer satisfaction. Deliver Houston Chronicle Newspaper to all clients assigned to my route, While providing the customers with the best service. Attending to their request and specific needs. 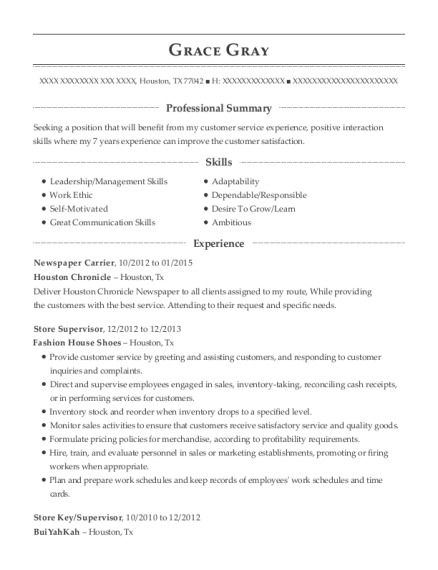 This is a resume for a Newspaper Carrier in Houston, Texas with experience working for such companies as Houston Chronicle and Fashion House Shoes. 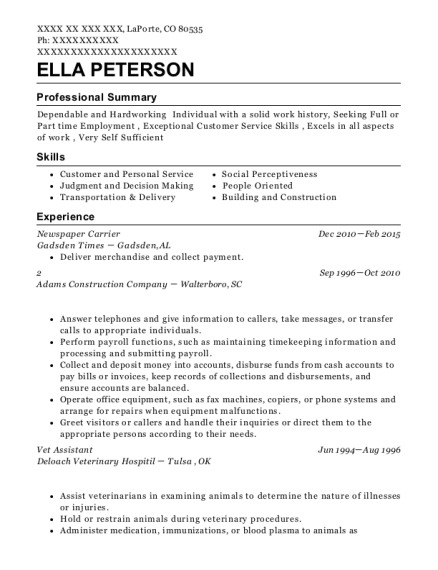 The grade for this resume is 0 and is one of hundreds of Newspaper Carrier resumes available on our site for free. 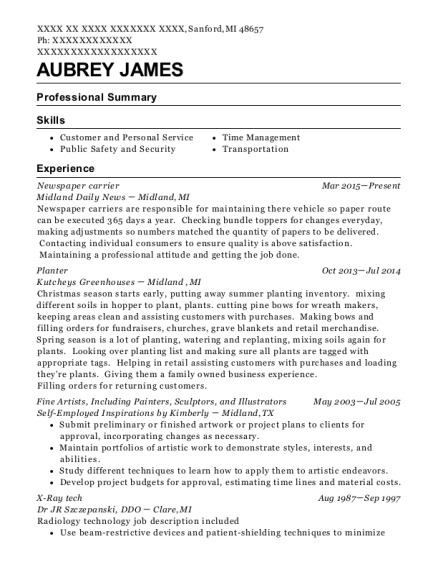 Use these resumes as templates to get help creating the best Newspaper Carrier resume.